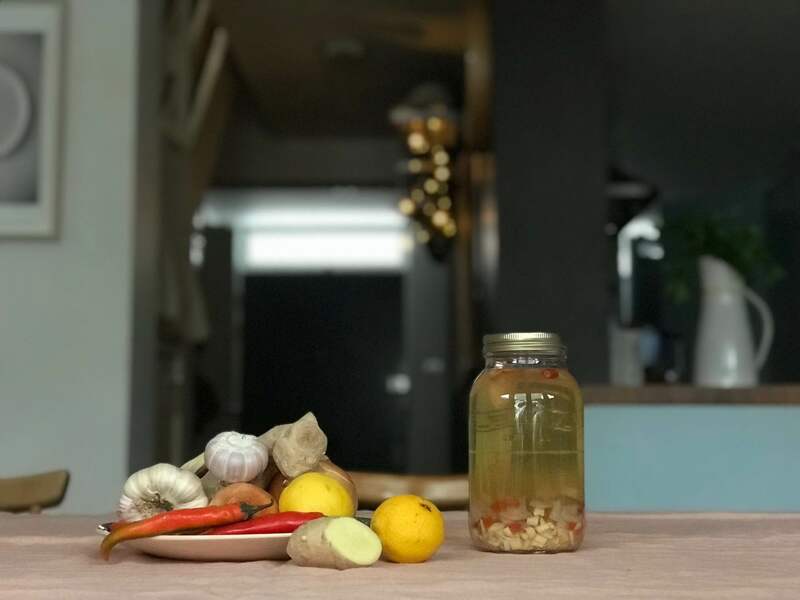 On the 11th day of Christmas, my true love gave me the gift of health in a mason jar — Dr. Ben Kim’s Strep Throat, Cold and Flu Tonic — a homemade, daily tonic to help keep you free from illness through the winter. With ingredients like garlic, onions, red chilli peppers, ginger, lemon and cider vinegar, the tonic harnesses heat and packs a punch. It can be used as a prophylactic or a fast acting remedy, depending on the quantity and frequency as recommended by Dr. Kim. Since October, I have been taking at least 1 teaspoon a day and have successfully managed to avoid a cold or flu this Autumn. Various friends and family have also reported on the tonic’s effectiveness and keep asking for the recipe. So what are you waiting for? Start chopping. Your loved ones will be eternally grateful.